The RE Store crew in Seattle was all hands on deck this last week to salvage some great stuff from McDonald Elementary School in Wallingford. Great finds such as chalkboard slate, beautiful clear fir cabinetry and doors, lockers, clocks and light fixtures have been rolling in to both stores every day from the school. Items with incredible character can be found – most items are original building elements. The school was built in 1913, with a wing added on just a few years later. Designed by Seattle Public School architect, Edgar Blair, and named after Judge F.A. McDonald, this school was an active elementary school until the 1980s. 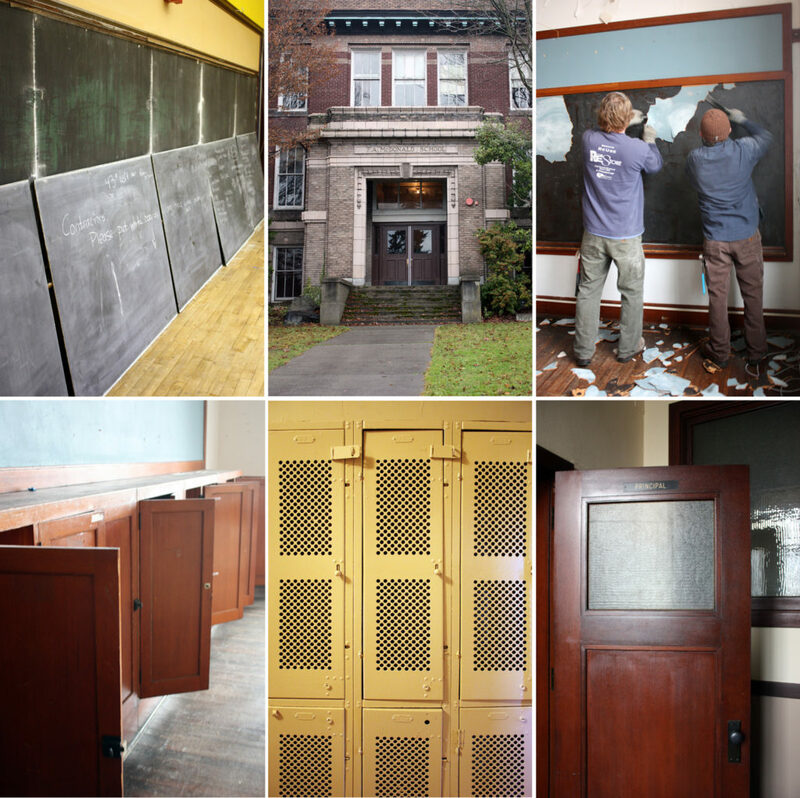 Since then it has spent time as an interim school for many other Seattle Public Schools undergoing renovation, as well as a stint as a classroom building for Bastyr University, and even used as a film set for “World’s Greatest Dad”. Currently, it is about to undergo extensive renovations and upgrades to become a new International Elementary School of the Seattle Public School system. Come get a piece of our city’s educational history!